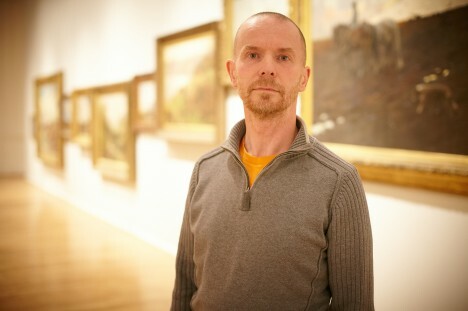 I was invited last week to the announcement of the winner of The Northern Art Prize 2012 at Leeds City Art Gallery. This isn’t going to be a ‘lets rant about modern art’ post. Promise. I like to think that I know a little bit about art and how to appreciate it. Modern art comes in many shapes and sizes and whilst I like it when it is challenging, sometimes it oversteps the mark. Sheds as boats, lights being switched on and off, unmade beds…these would fall in to the ‘interesting’ category for me. I was particularly taken with James Hugonin’s meticulous artworks. For me they were the outstanding item in the Show and for the record, it was a travesty that he didn’t walk away with the prize money. 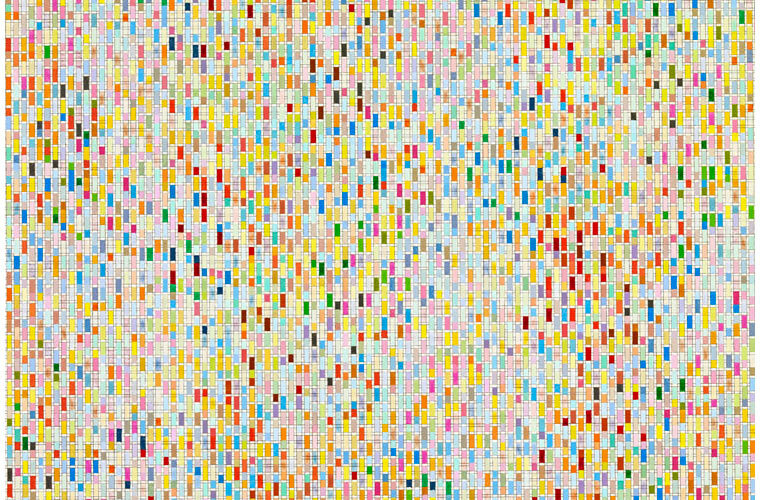 Hugonin’s mysteriously colourful ranged from small pieces through to enormous executions – all beautifully detailed. They were pedantic and intellectual and I loved the craft needed to pull these off. Here’s the winner in front of one of his works – the most interesting for me – where he has pulled together a series of classic Leeds Art gallery works to create one new work. In itself, this is an interesting but derivative thought that when I discovered what he had done, I smiled at his cleverness but then moved quickly on to disappointment. It seemed a smug idea, too clever for its own good. But his mobile device photography really did it for me – unoriginal and contrived. Sorry. 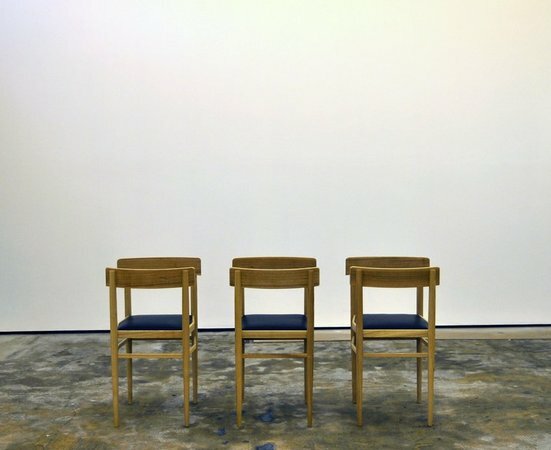 I was quite taken with Richard Rigg’s unsittable-on chairs and his other items of weird physicality. There was some kind of odd light switch affair which I didn’t really understand. But it wouldn’t be the Norther Art prize if one didn’t utter to infamous Streety line ‘you can’t get away with that’. All in all it’s an enjoyable, slightly mystifying but ultimately worthwhile diversion to see this year’s finalists at Leeds City Art Gallery. I don’t think it’s on for much longer so you might need to get your skates on.